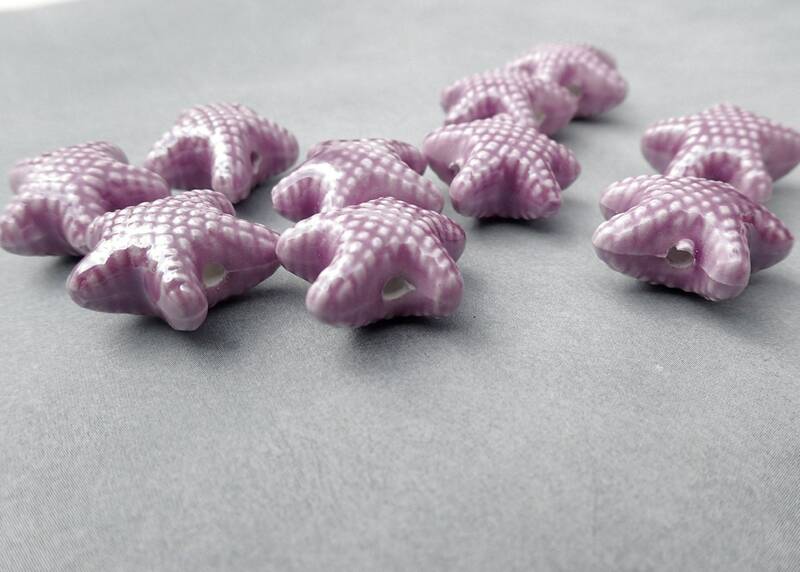 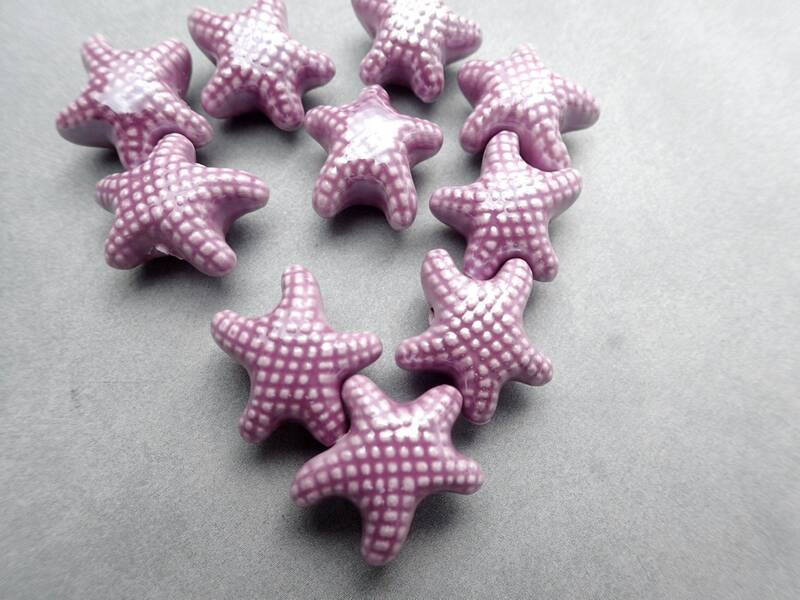 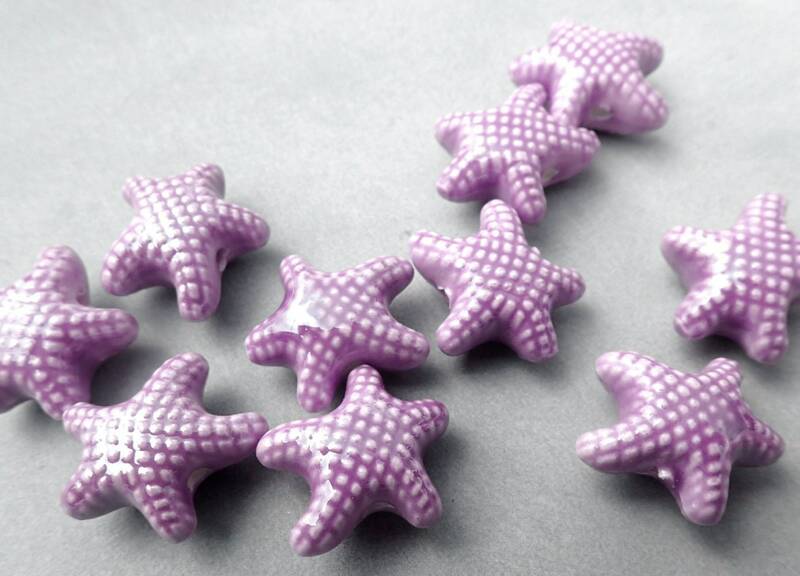 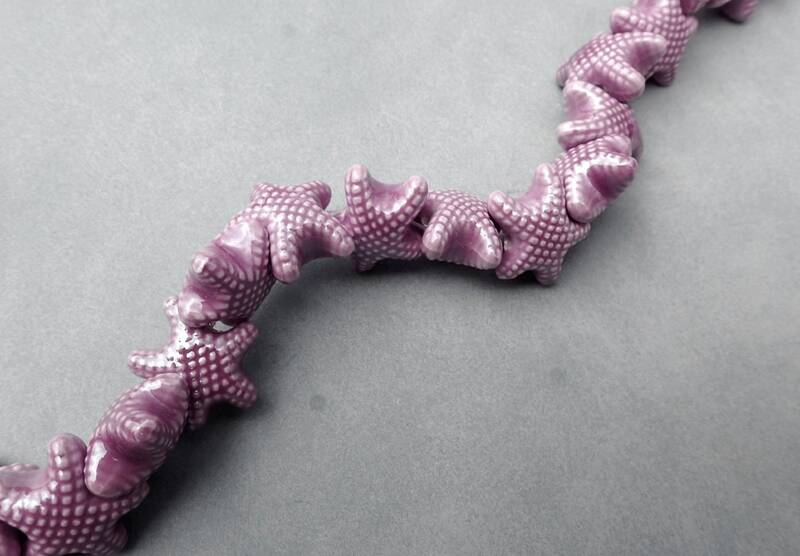 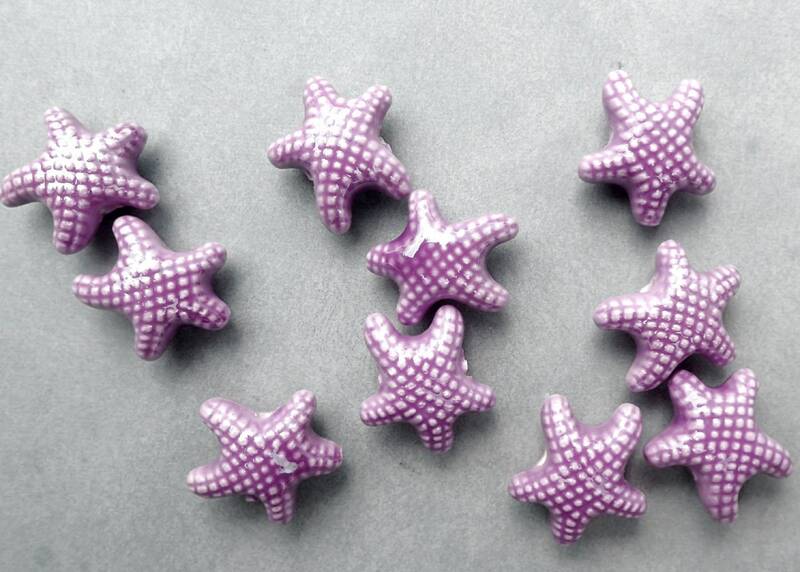 These are pearlized subdued purple porcelain starfish beads. 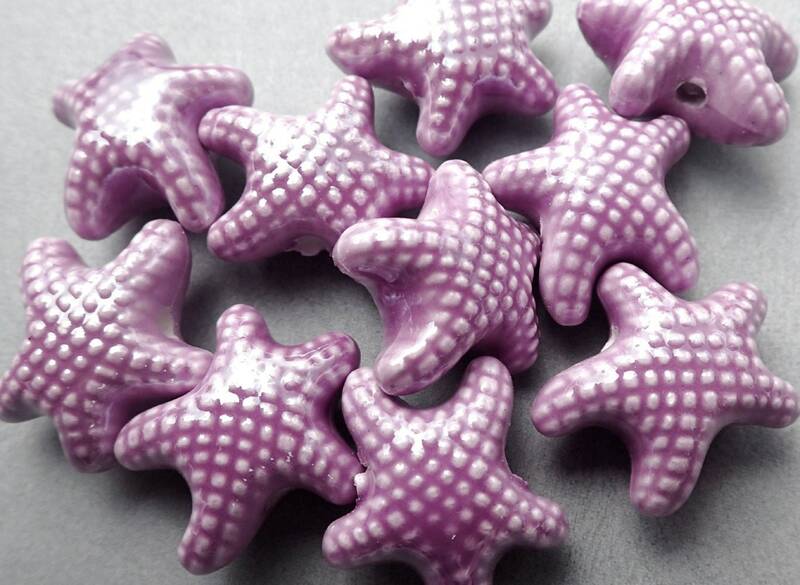 They are 17-19mm in diameter and 9.5-10.5mm thick. 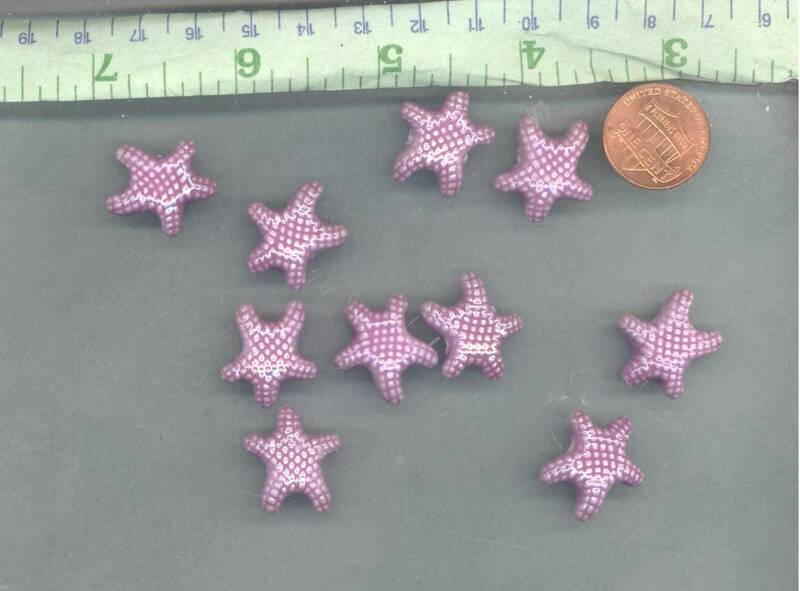 The hole is about 2mm.